A single natural eyelash is isolated and a synthetic lash is glued to the top of your own natural eyelash approximately 1mm from the eyelid so neither the glue or the lash has contact with the skin. I had eyelash extensions applied a few days ago and a few lashes have fallen out – why? The lash has a growth cycle and unfortunately it is hard to determine which lash is ready to fall out naturally so it is unpredictable when applying the synthetic lashes. Each day we can lose 3-5 natural lashes, but often they fall out unnoticed unless they fall into your eye, but when eyelash extensions are applied we are more aware of when they shed as we know the extensions are there plus they are longer, darker and thicker. If you sleep on your stomach with your face squashed into the pillow or you favour sleeping on one side you may notice the lashes may not last as well as the other side. What happens when extensions are applied incorrectly? If eyelash extensions are not applied to one single natural lash at a time several problems can occur. If the extension is applied to two or more natural lashes they cannot grow properly as they normally would. This can result in the natural lash becoming bent or broken. The lashes are also likely to feel uncomfortable, often with a pulling or tight sensation along the lash line. Extensions that are too long or heavy for the clients natural lashes, can result in premature lash loss. Either or both of the above methods can result in premature lash loss and damage. Can anyone wear Lash extensions? No. The lash extensions can only be applied to a natural eyelash. Therefore if someone has very sparse, partial or complete loss of their own lashes, there is little or nothing to work with. Certain other factors will determine whether you are a suitable candidate for eyelash extensions. Eyelash extensions are not “one size fits all”. Everyone’s lashes are different and eyelash extensions should be customized to each individual for the correct length and thickness to suit their look and ensure the health of their natural lashes. Not everyone can or should get super long or super thick eyelash extensions! A full set of eyelash extensions in Plymouth is not all one length. The shape of your lash line tapers – it’s longer in the center and shorter on the outsides and your extensions should be too. Following the design of the natural lashes creates natural-looking extensions! Natural lashes grow to a finite length (different for each person), fall out and are replaced by new growth, just like the hairs on your head. When eyelash extensions are applied and maintained correctly they will grow out with your natural lash and still be attached to the lash when it sheds. Natural lashes are constantly growing in and falling out at different times so your eyelash extensions will too! There is no set amount of time that eyelash extensions will last because they will shed with the natural lash they are attached to when it grows out and that time varies. Due to growth cycles and different stages, the best estimate is that you will shed 1-5 natural lashes per day – including those with extensions and those without. Frequent re-lashes will replace those that have shed to maintain a full look. You SHOULD be seeing your natural lashes and extensions fall out together. This is normal. If your extensions fall off before the natural lash, the maintenance instructions were not followed correctly. Eyelash extension adhesive is designed to create a permanent bond between the extension and the natural lash. It is nearly impossible to remove extensions yourself without damaging your natural lashes. See a professional if you need removal! Eyelash Queen Plymouth eyelash extensions require professional application to ensure the best finish, by blending the lash extensions evenly with your natural eyelashes using our highly skilled techniques, eyelashes are given the appearance of being naturally thicker and longer through professional application of an individual synthetic eyelash directly onto the natural eyelash with a specially formulated bonding agent. Eyelash extensions are very light and comfortable on the eyes. When applied professionally they do not damage the natural eyelash which can be the case with traditional self applied false eyelashes. 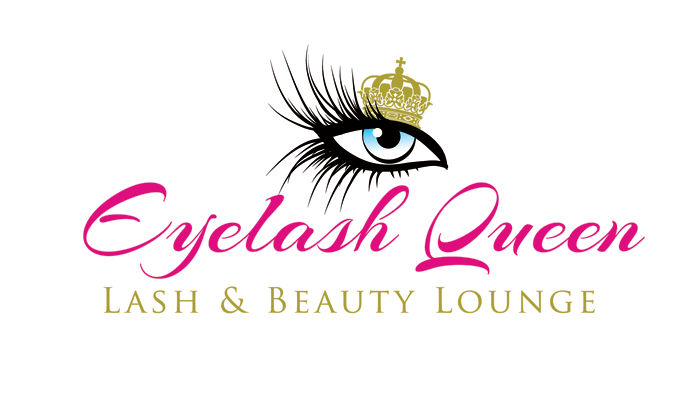 Eyelash Queen Plymouth semi permanent eyelash extensions look and feel so natural, they can be worn everyday, as well as for special occasions. So, for beautiful eyelashes, look no further than the latest make up accessory; semi permanent eyelash extensions from The Eyelash Queen Plymouth!